Hydrocodone (Lorcet) is an immediate-release pain reliever combining a synthetic opiate with acetaminophen, prescribed for moderate to severe pain. While acetaminophen boosts the pain-relieving effects of hydrocodone, high doses can be toxic to the liver when used over a substantial length of time. Lorcet (hydrocodone) is a pain reliever that comes in oral pill form, with similar side effects, withdrawals and other characteristics as occur with other synthetic opiate based medications. There are many such medications that combine synthetic opiates with another analgesic agent, such as aspirin, acetaminophen, ibuprofen, etc. to increase the ability of hydrocodone to suppress pain. Lorcet can be habit-forming due to its pleasant, euphoric effects and should only be taken as prescribed for as short a time as possible. A note about disposing of unused medications; never flush medications down the sink or toilet, but return them to the pharmacy where you got them. The pharmacy will safely dispose of leftover medications for you, in a way that will not harm the environment or contaminate drinking water in your community. What Is Lorcet Used for? Lorcet is prescribed to treat moderate to severe pain. Hydrocodone in liquid form is also used off label as a cough suppressant in cough syrup. Hydrocodone is sometimes prescribed “off-label” for insomnia. There are many other brand names for acetaminophen combined with hydrocodone, and they all have similar properties including the risk of becoming habit-forming. Acetaminophen poses a risk of liver damage especially where Lorcet is used in high doses and over a long period of time. Side effects of Lorcet are similar to those of other opiate narcotics. While taking Lorcet, you may feel drowsy and your thinking may be impaired. To avoid accidents and injuries, do not drive or operate machinery while taking this drug. Acetaminophen can cause a potentially life-threatening allergic reaction. Signs of this condition include a sudden high fever, confusion, hallucinations, shaking or tremors, partial or full loss of consciousness, coma, hives, and a rash that can quickly cover much of the body and the skin may begin to blister and peel. Seek medical assistance if this should occur or start to occur, by ambulance if necessary, so that medical intervention can occur without delay. This is a potentially fatal reaction. In almost all cases, coming off Lorcet should be done in a gradual way, cutting down the dose bit by bit over time. There are some rare cases when in a hospital setting, the drug needs to be withdrawn immediately, such as in an overdose situation or when a life-threatening reaction has occurred. Stopping Lorcet should be done with medical oversight, gradually reducing the dosage so as to minimize withdrawal symptoms, allowing the body to normalize again without too much shock to the system. Providing a diet that is rich with the precursors or nutritional elements that the body needs to replenish natural neurochemicals adequately can significantly support the recovery process. Another aspect of recovery can be assisted by the removal of the neurotoxic load that has accumulated over the lifetime of the individual. This process often relieves some of the problematic symptomatology that has been plaguing the person for a very long time. In certain cases, bridge medications can help ease the most arduous withdrawals, and can then be tapered off gently. There are many ways to help a person successfully quit Lorcet in a clinical treatment setting. If you have other questions on this topic please reach out to us and we can provide you the information you would like to receive. Below are some of the most frequently asked questions about Lorcet that may help in considering starting or stopping this medication. Lorcet contains a synthetic opioid called hydrocodone. Hydrocodone is derived from opium poppies, similar to heroin or Oxycodone. Lorcet is a Schedule II medication, because of its habit-forming characteristics. Many people find that they become addicted to pain medication such as Lorcet inadvertently. Others used Lorcet recreationally for the euphoric and relaxing effects and also become addicted. Whatever your path of addiction may have been, coming off Lorcet does not have to be torturous. The body creates agents to control pain called endorphins and enkephalins.¹ ² These are natural chemicals or peptides found everywhere in body tissue, and they are able to block pain. Medications such as Lorcet are designed to mimic these natural chemicals. However, the body responds to the presence of these analogues by shutting down the internal production of natural endorphins and enkephalins. When the opioid drug intake is lessened or removed, the body is left defenseless and subject to the pains, aches, digestive issues, etc. that make opiate withdrawal so harsh and difficult to endure. Even a sheet lying across the body or a light touch to the arm can feel excruciatingly painful to someone who is in opiate withdrawal. These symptoms will continue to be problematic until the body can replenish the deficit. This normalization can be accelerated and supported during and after withdrawal through proper diet, targeted nutritional supplementation and other means. Emotions are also affected by a deficit of natural endorphins. A low-endorphin person may not have much of a buffer or defense left against emotional disturbance until the situation is corrected. This person may have already been low in endorphins before drug use, which could have significantly contributed to being drawn to opiates in the first place. The endorphin deficiency may also help explain why emotions can be so painful to endure, especially during opioid recovery. For those who have developed a PTSD condition, the emotional and often physical pain threshold is very low. The environment can feel profoundly threatening, and the neurochemistry in a lowered state can do nothing to buffer against this strain. This can be further compounded when considering an opioid withdrawal and these factors all need to be addressed as part of the individual’s treatment program at the Alternative to Meds Center. Pain that has been endured for a long period of time also tends to deplete natural stores of endorphins and enkephalins. Where opioids have been used to combat pain, the problem has been further compounded. During opioid use, the body attempts to build new pain receptors as this is instinctive, adapting to and keeping the “pain-alert-response” mechanism alive and well. This is a survival mechanism. But it can significantly magnify the perception of pain during opiate withdrawal. These are important issues that need to be attended to for a person to be able to withstand withdrawal. Many opiate users actually find their pain levels decrease as they reduce their medication, as long as the correct adjunctive therapies are being utilized during the tapering process to compensate and bring the body back into balance as quickly as possible. If the body has not been receiving the correct nutrition, the precursors for repairing neurochemistry are not available. During an Alternative to Meds Program, an exacting diet gives an individual the important building blocks to ensure that the body has all the raw materials necessary to rebuild and correct deficiencies as quickly as possible. 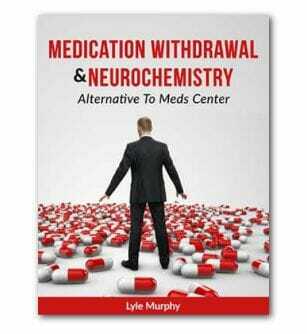 This will help combat and proof against the vulnerability to pain or emotional sensitivity during withdrawal. This strengthening and boosting process also continues in the later stages of recovery. The Alternative to Meds Center provides the necessary tools, including a diet rich in precursors to natural endorphins, as well as trauma counseling, the removal of neurotoxicity, and many therapies designed to provide comfort and relief through the process. Where needed, a short course of bridge medications can ease the person through the initial stages, and helps to make the process as humane and comfortable as possible. At the Alternative to Meds Center, we utilize a compassionate and science-based approach to opiate medication withdrawal. Once the drug is tapered to zero, there may still be other opportunities to normalize the neurochemistry so that lingering after-effects will tend to fade in an accelerated fashion. 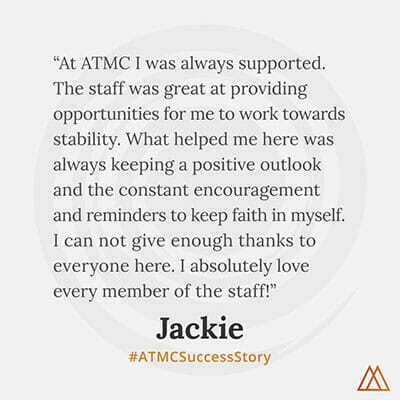 Please contact us at the Center for more information about the programs we offer, and discover how this may be the program you or a loved one can benefit from most for sustainable, natural, mental health and many levels of success in addiction recovery.